It’s impossible to deny the iconic importance of James Whale’s Frankenstein. Its appearance is marked by the ornate artificiality, hand-built sets and classical special effects. The oft-parodied restoration of The Monster (Boris Karloff) has lost no potency, channelling the vitality of a theme park ride with its flashing lights, towering set and rickety rollercoaster cart rising to the heavens. So too the hilltop conclusion: angry-torch wielding peasants re-enacting some operatic tableau of rage. There’s humanity here, too, in Karloff’s uniquely subtle performance as The Monster. His fey gawkiness suggests something infantile, as though The Monster were some wrathful, incoherent toddler. 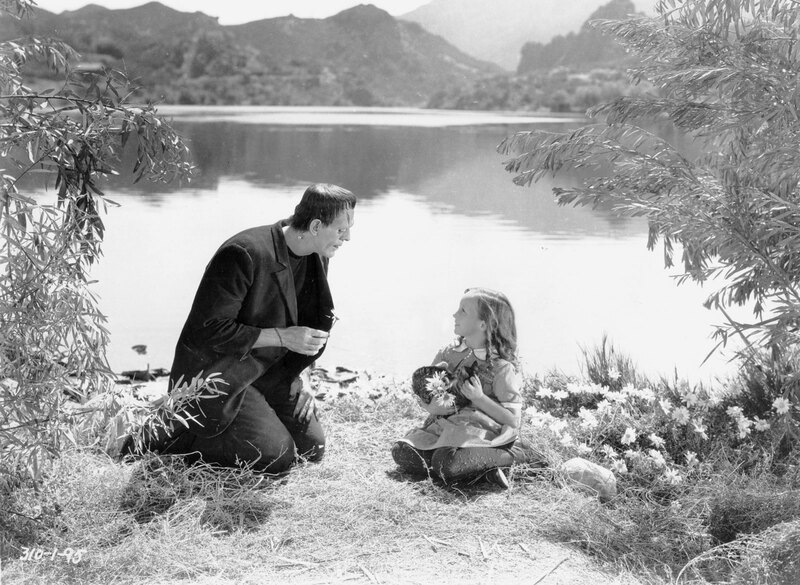 The film is simultaneously touching and chilling when Karloff stumbles upon a young girl alone. They make a connection, culminating in violence; Frankenstein feints at the sentiments of Shelley’s novel before indulging in grotesquery. When the girl’s father later carries her body through the streets, it’s invested with immense pain; it’s not surprising that the death of a child remains a horror taboo. Frankenstein feels tame by modern standards; its seventy minute runtime drags and, Karloff aside, the cast overacts flagrantly. Whale’s gothicism and Karloff’s performance are fascinating, but I found Frankenstein an interesting relic rather than an engaging movie. Nice post. Have you seen Ian McKellen in Gods and Monsters? What a great film about James Whale. No! I’ve heard that film’s title bandied around a bit but I wasn’t aware it was about James Whale – I’ll have to hunt it down! You have just explained my own experience with this flick, almost perfectly. Especially in the last sentence. I can understand how it became a classic and thereby appreciate it intellectually, but it feels almost like a piece of history. Not so much a source of entertainment. I love the Universal Horror flicks, although this is not my absolute favourite of them. I still like it though. But I agree with you that even though it is pretty short, it does actually drag. Yeah, I think it really is just lacking a sense of purpose; it’s not particularly interested in examining the humanity (or lack thereof) of The Monster but neither is Frankenstein himself a particular well-realised character, so it sort of collapses without a substantial protagonist to shoulder the story. Thanks for the comment!